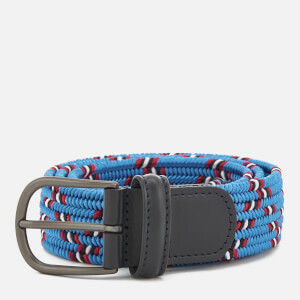 Men’s navy braided belt from iconic American label, Polo Ralph Lauren. 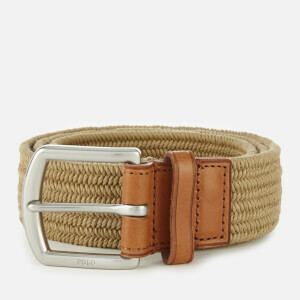 Crafted from a braided stretch cotton blend, the belt is detailed with a silver-tone metal pin buckle with a debossed Polo logo and a contrasting brown leather keeper. 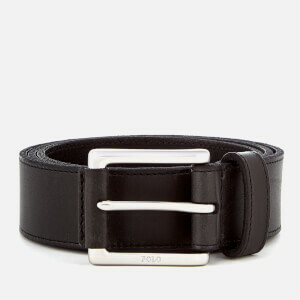 Complete with a squared leather tip with a signature debossed pony logo. Main: 80% Cotton, 20% Elastane. 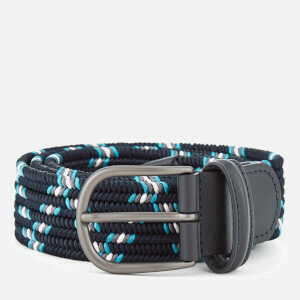 Trims: 100% Leather.